Thrash-metal maniacs Ghoul hail from Creepsylvania, which might be a state, a country or a collective state of hallucination. 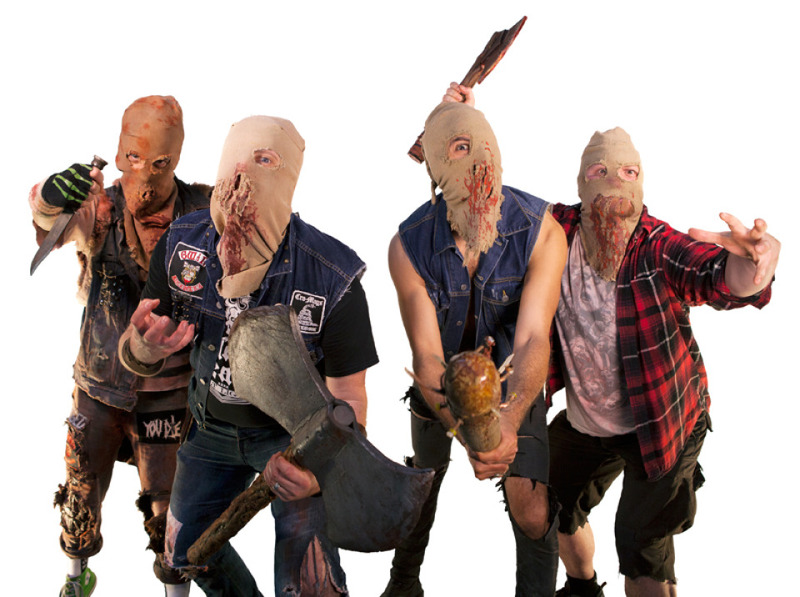 The four masked mutant madmen have been wreaking havoc around the world for 15 years, and they kick off their next tour opening for British grindcore band Carcass on Sunday, July 17, at the Granada. That tour also sees the band celebrating Dungeon Bastards, its latest full-length, which comes out at the end of this month on Tankcrimes. The Pitch spoke with Digestor, Ghoul’s guitarist and vocalist, via e-mail about life and death in Creepsylvania, surviving Killbot and more weirdness.